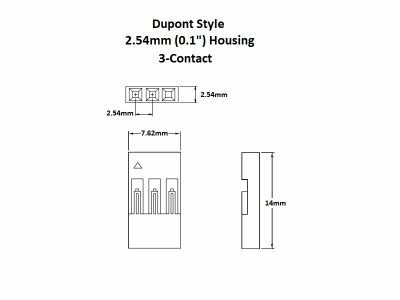 These panel mounted DC power jacks fit standard DC power plugs for adding a DC power input to an enclosure. 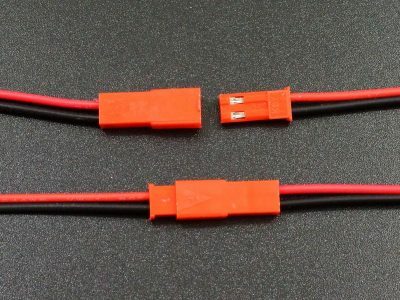 These male DC power jacks are used to make custom power cables are to replace different size DC power plugs. 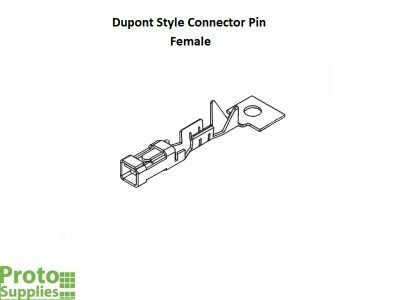 These Dupont style 2.54mm connector female pins are used to make custom solderless breadboard and male header jumper cables. 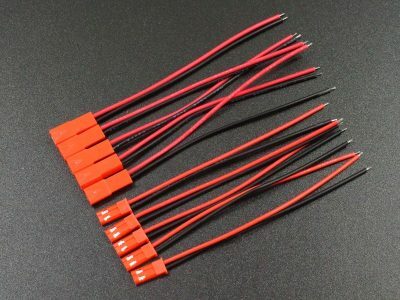 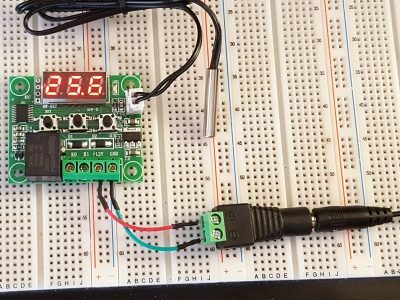 These Dupont 2.54mm connector housings are used to make custom jumper cables for solderless breadboards or to go between male and female headers. 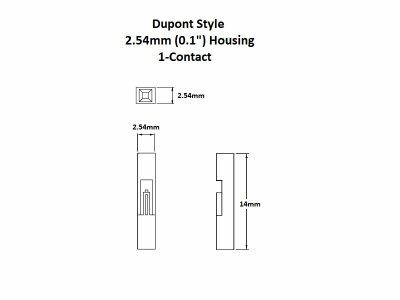 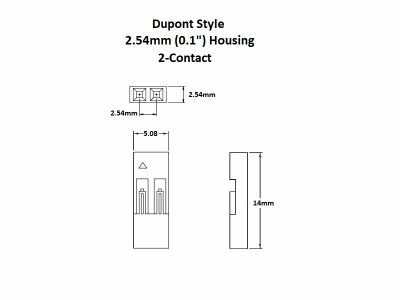 These Dupont 2.54mm 2-pin connector housings are used to make custom jumper cables for solderless breadboards or to go between male and female headers. 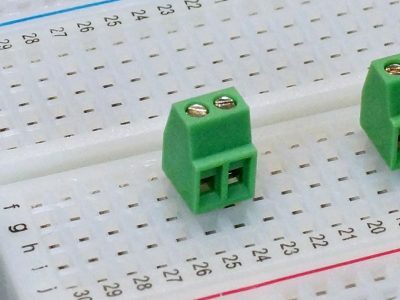 These Dupont 2.54mm 3-pin connector housings are used to make custom jumper cables for solderless breadboards or to go between male and female headers. 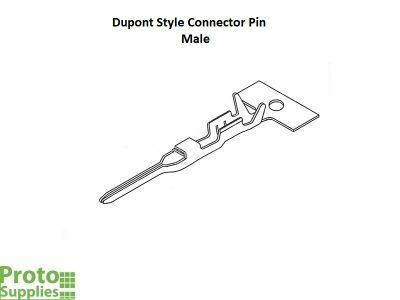 These Dupont style 2.54mm connector male pins are used to make custom solderless breadboard jumper cables. 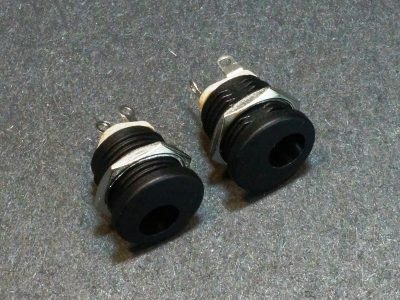 These female DC power jack adapters are used to make power extension, disconnect or other custom power cables. 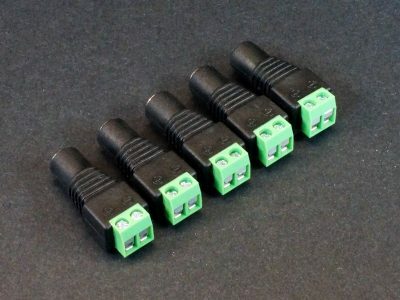 These male DC power plug adapters are used to make power extension, disconnect or other custom power cables. 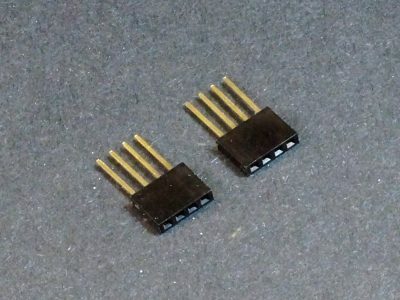 These are 1×2 single row female headers with gold contacts. 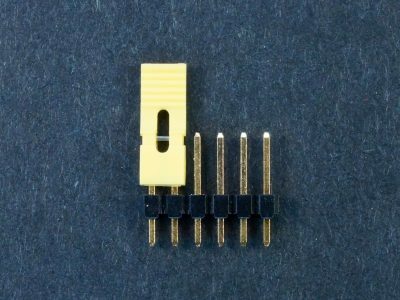 These are 1×3 single row female headers with gold contacts. 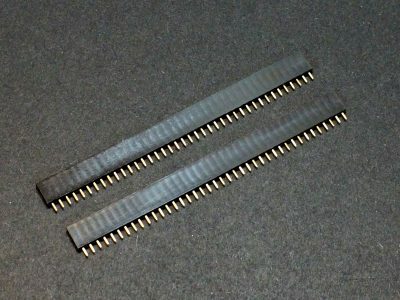 These are 1×4 single row female headers with gold contacts. 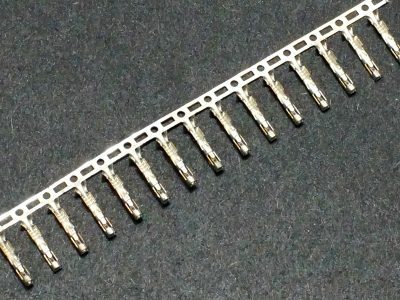 These are 1×5 single row female headers with gold contacts. 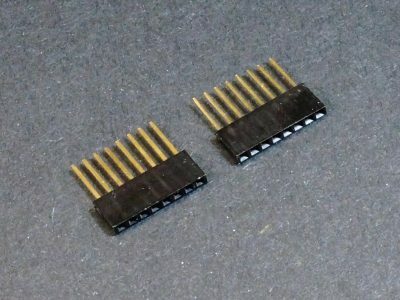 These are 1×6 single row female headers with gold contacts. 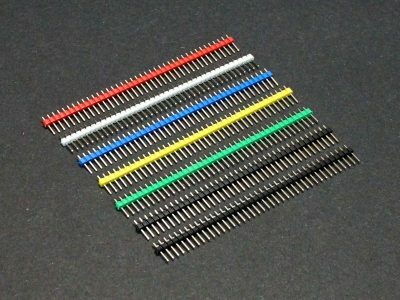 These are 1×7 single row female headers with gold contacts. 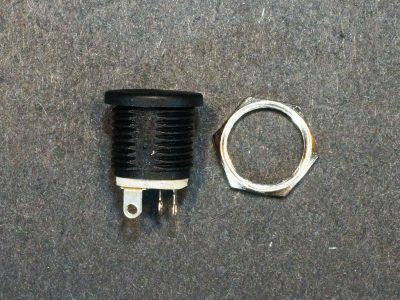 These are 1×8 single row female headers with gold contacts. 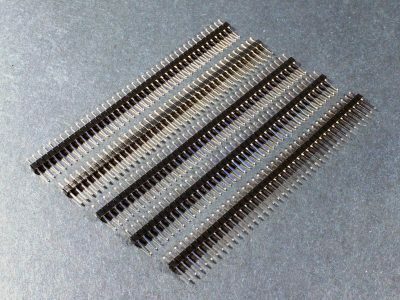 These are 1×10 single row female headers with gold contacts. 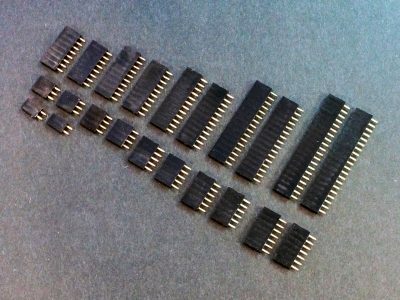 These are 1×12 single row female headers with gold contacts. 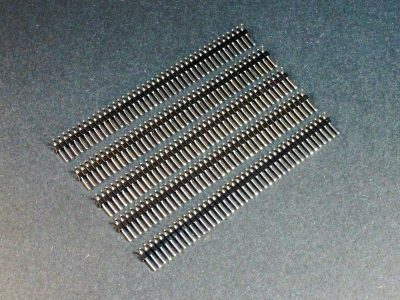 These are 1×16 single row female headers with gold contacts. 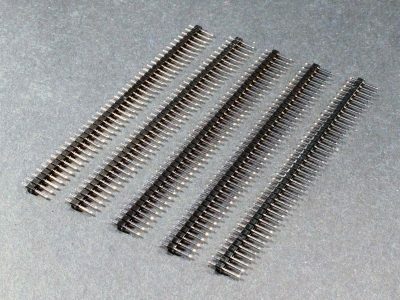 These are 1×20 single row female headers with gold contacts. 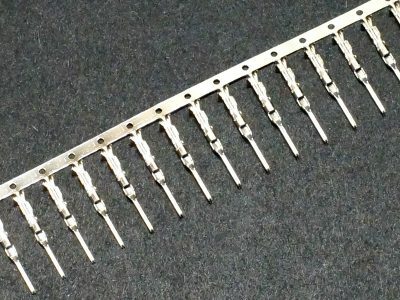 These are 1×40 single row female headers with gold contacts. 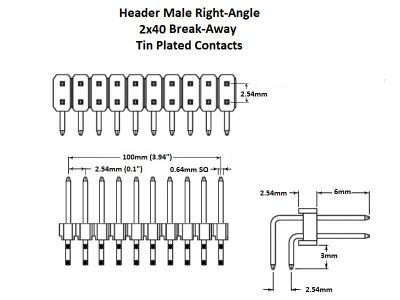 This assortment of female single-row gold plated headers contains 2 pieces each of 11 different sizes. 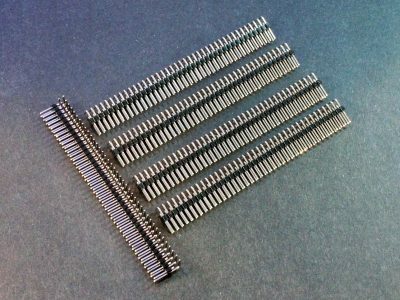 These are 1×40 single row male headers that can be cut to the length required. 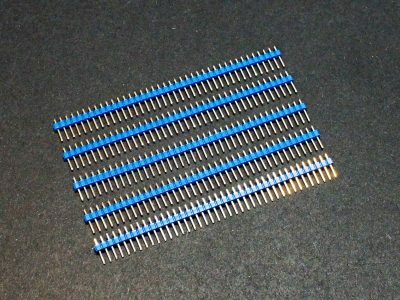 These are blue 1×40 single row male headers that can be cut to the length required. 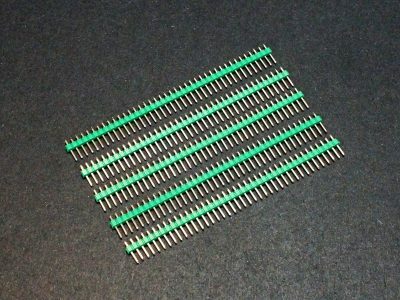 These are green 1×40 single row male headers that can be cut to the length required. 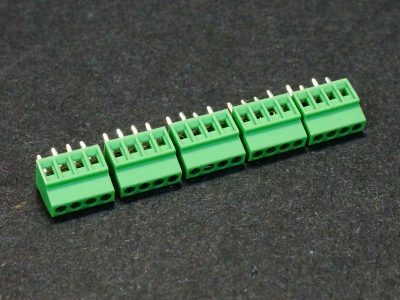 These are 1×40 single row male headers in Red, White, Blue, Yellow, Green and Black that can be cut to the length required. 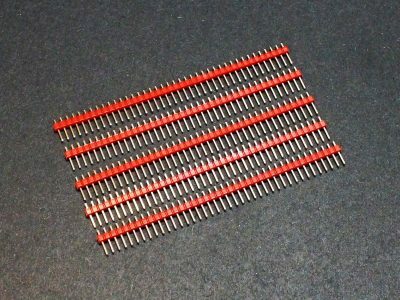 These are red 1×40 single row male headers that can be cut to the length required. 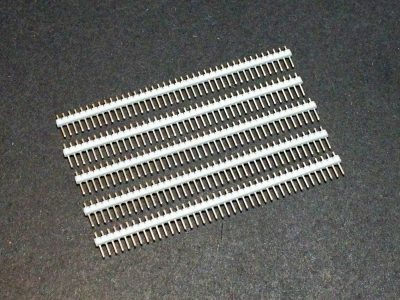 These are white 1×40 single row male headers that can be cut to the length required. 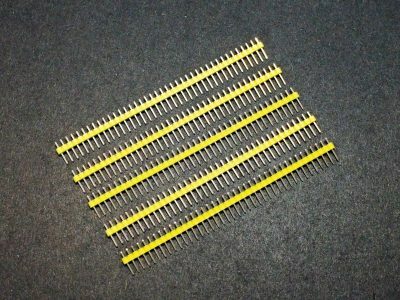 These are yellow 1×40 single row male headers that can be cut to the length required. These are 1×40 single row gold plated male headers that can be cut to the length required. 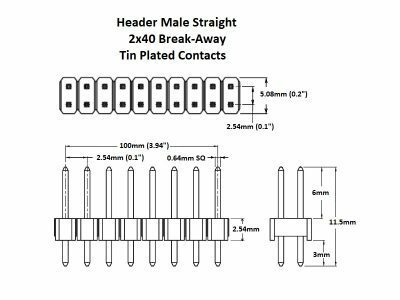 These are 1×40 single row right-angle male headers that can be cut to the length required. 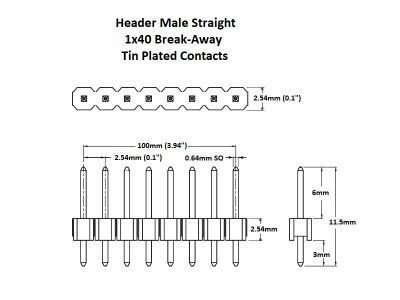 These are 2×40 double row male headers that can be cut to the length required. 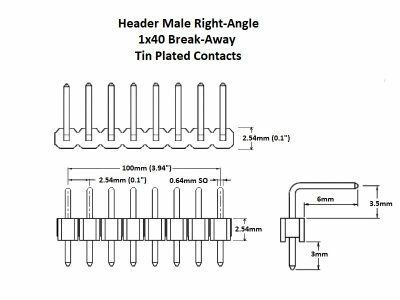 These are 2×40 double row right-angle male headers that can be cut to the length required. 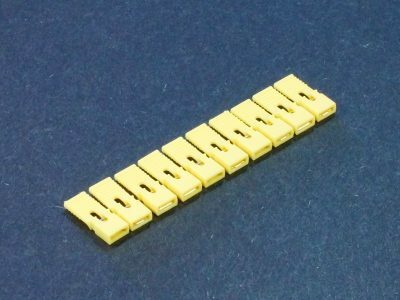 These yellow header shunts have extended grips to make them easier to grab. 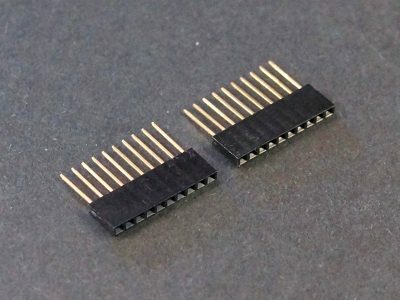 These are 1×4 single row stackable female / male headers with gold contacts. 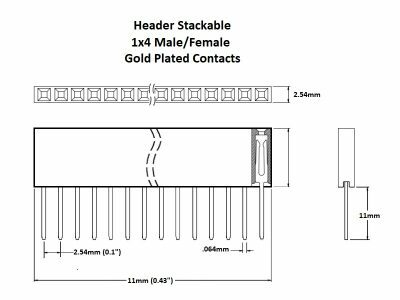 These are 1×6 single row stackable female / male headers with gold contacts. 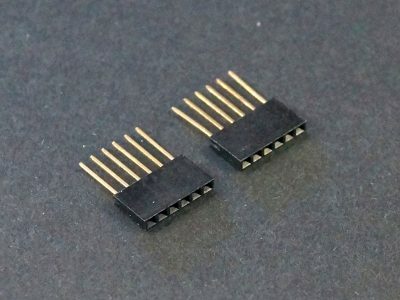 These are 1×8 single row stackable female / male headers with gold contacts. 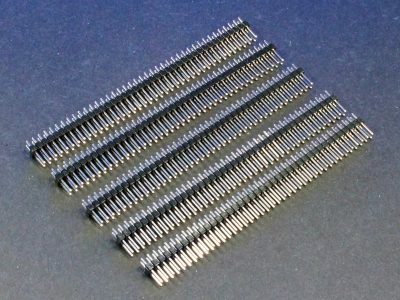 These are 1×10 single row stackable female / male headers with gold contacts. 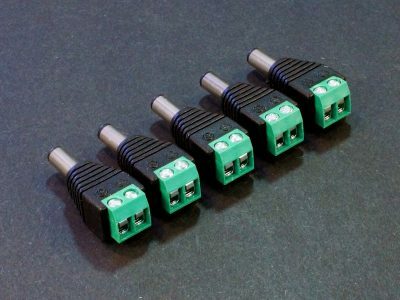 These cable assemblies have a JST XH 2-Pin female connector with standard 0.1″ spacing and short pig-tail wires. 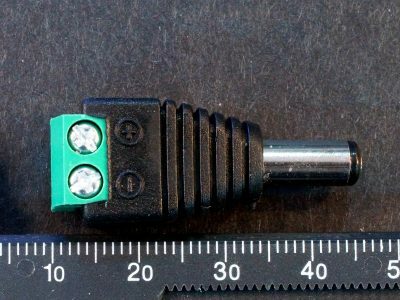 These small light duty 2-position screw terminals fit standard 0.1″ hole spacing for connecting small wires to a prototype PCB. 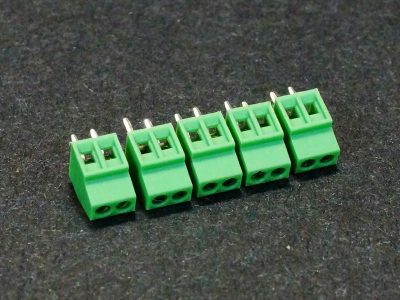 These small light duty 3-position screw terminals fit standard 0.1″ hole spacing for connecting small wires to a prototype PCB. 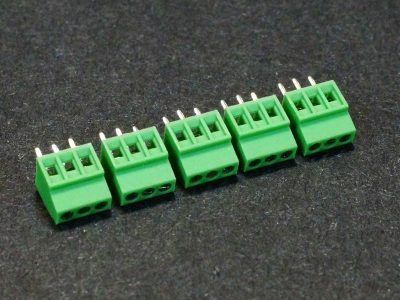 These small light duty 4-position screw terminals fit standard 0.1″ hole spacing for connecting small wires to a prototype PCB. 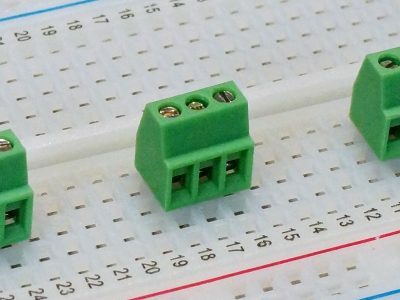 These 2-position medium duty screw terminals fits standard 0.2″ hole spacing for connecting wires to a breadboard or PCB. 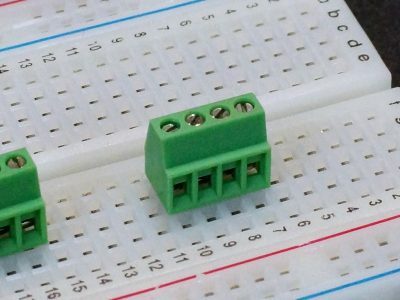 These 3-position medium duty screw terminals fits standard 0.2″ hole spacing for connecting wires to a breadboard or PCB.